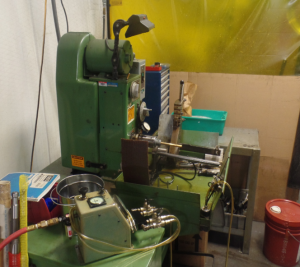 Integrated Components has a variety of equipment to handle your manufacturing needs including honing. The process of honing focuses on the surface of a pre-machined workpiece to improve geometric diameter and texture. During the honing process, an abrasive stone applied to the surface of a work piece removes a minimum amount of material to create the desired finish. Integrated Components utilizes the Sunnen Hone, which is ideal for holding close tolerance holes, correcting undersize, taper, out-of-round and misalignment. To meet diverse work piece requirements, we are able to use our hone machine to ensure high quality finishes to unique specifications.